From the IBPSA conference, to ACADIA, to workshops in private offices, we have trained designers, engineers and building simulation experts alike. We pride ourselves on our ability to teach to different levels of expertise and we tailor our training material to meet the audience's needs. Check out our workshop packages to book a workshop for your office or institution and see our upcoming workshops to register for public workshops that are already scheduled. Excellent content. Clear explanations. Hands on sessions with the developers themselves. It doesn't get any better than this! Opened my eyes to a whole new world of analysis. Every aspect was carefully thought, well calibrated, and easy to follow. Great opportunity to interact with the developers of the tool but also to meet fellow "bugs" of the community! Using Ladybug Tools at work is a delight I look forward to on every project! I feel truly empowered to customise/optimise my workflow using both grasshopper nodes and now the python core [+] libraries. The hands on approach in the advanced daylight modelling session gave me a great knowledge of the intricate workings of honeybee, I would highly recommend! The Ladybug Tools Workshop by Mostapha is extremely effective: As always - learning how to use software is only 50% of the game, the other 50% are what to do when you run into an error. Thus you need to have enough understanding of the tool and its concept as well as the core software. Learning HB in Dynamo has unlocked a lot of potential for us at Grimshaw. I am pleased to have participated in the week long workshops held in London in 2018, they gave me excellent grounding to improve sustainability analysis of my projects. Ladybug Tools are state of art tools for environmental design and will continue to disrupt the industry! I would like to highlight the motivation Mostapha and Chris set for us by providing engineers with such powerful tools as OPEN-SOURCE, this is aligned with true building performance by working for the greater good of the building industry instead of for the individual benefit, for that we will forever be greatful. It was a high value to speak to the founder directly with all his background knowledge rather than to another expert just representing a company like in most workshops. The Ladybug Essentials workshop gives you a very good overview of the tools and their potential and it is well-suited for more advanced users too; the focus is placed on the workflow and how to solve an actual problem rather than setting standard analysis examples. I am highly impressed with the amount of exposure these workshops have been able to provide in understanding the quantitative and qualitative aspects of the environmental design whilst demonstrating the empirical outcomes. If any of the options above don't fit your needs, contact us and we can look into developing a custom workshop. Can't find one that fits your needs? Contact us for a custom training session. A week-long series of five workshop covering a range of topics including Ladybug Fundementals, Honeybee Daylight, Honeybee Energy, and Automated Parametric Workflows. A week-long series of six workshop covering a range of topics including Ladybug Fundementals, Honeybee Daylight, Honeybee Energy, Butterfly and Automated Parametric Workflows. This workshop will cover workflows for such iterative heat flow modeling with Honeybee, which is currently the only CAD plugin for THERM. Participants will gain literacy with geometry preparation for THERM models, will run THERM simulations from Rhino/Grasshopper, and will learn several workflows for processing THERM results for different applications. A week-long series of eight workshop covering a wide range of topics including Ladybug Fundementals, Honeybee Dalight (including Honeybee[+]), Honeybee Energy, Butterfly Airflow Modeling, and Automated Parametric Workflows. This lab will be an introduction to data visualization with D3.js, Mandrill and Dynamo. It will also be an introduction to concepts of data acquisition, formatting and visualization. Through prepared (modeled) examples, on-site instructors will provide a practical understanding of current energy modeling workflows and analyses for project design team members. Analyses will include early design sensitivity studies, later design analyses that support proposals to clients, energy modeling for LEED, and code compliance modeling. The session will focus on building energy modeling and envelope U-value modeling with the Honeybee plugin for Grasshopper. In the morning, participants will setup a parametric energy model and use it to perform a sensitivity analysis to inform intermediate stages of design. In the afternoon, instructors will explain the basics of modeling construction details with Honeybee THERM. Honeybee is currently the only plugin linking LBNL THERM and WINDOW to a CAD interface and so it provides the only alternative to THERM’s own drawing interface. At the end of the workshop, the results of the THERM models will be used to inform the energy models built in the morning. The session will focus on creating workflows for several types of sun-related studies using Ladybug and Honeybee. The morning will cover weather data visualizations as participants learn the logic of using Grasshopper and basic principles for generating customized climate graphics with Ladybug. The afternoon will explain the workflows for daylight modeling with Honeybee as participants learn to automate and run more advanced studies. Each half of the workshop will open with a short presentation defining the motivations for running the given studies followed by a hands-on tutorial and design exercise. This workshop will introduce Butterfly – the newest addition to the insect community of Ladybug + Honeybee. Butterfly allows one to set-up and run advanced Computational Fluid Dynamics (CFD) simulations from inside Grasshopper using the validated, open source engine OpenFOAM. It’s recommended that you have at least a year-worth of visual scripting experience for attending this workshop. Grasshopper will be used for the workshop’s hands-on exercises but a number of similar examples and workflows will be shown with DynamoBIM. Prior knowledge of Computational Fluid Dynamic is preferred but not required. 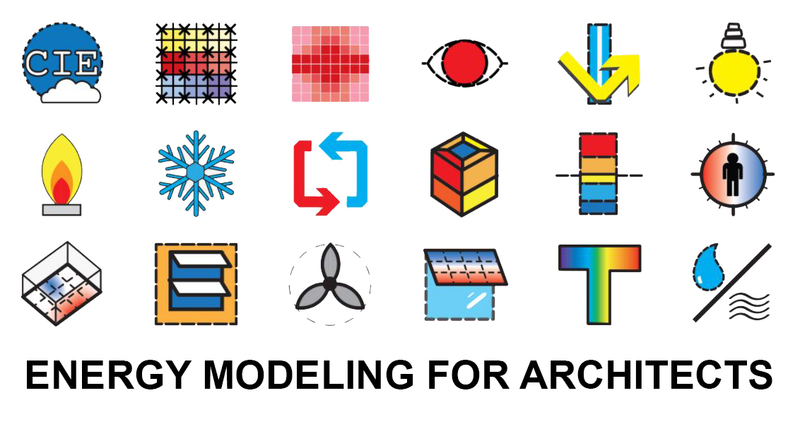 This workshop introduces multi-phase daylighting modeling with Honeybee. It is intended for intermediate to advanced Honeybee users, who know how to set-up and run an annual daylighting analysis with Honeybee. The workshop focuses on computational tools and workflows for exploring, analyzing and visualizing large, complex and dynamic geospatial data in a parametric visual scripting environment. Through a series of hands-on tutorials, attendees will be introduced to several different methods of quantitative environmental analysis using geospatial 'Open Data' and temporal climate data. Participants will practice different techniques of optimization and solution-finding, such as “brute force and filtering” and “multi-objective analysis” in order to address a number of design exercises presented during the workshop.